France has announced that it will be funding and arming terrorists operating along Syria’s borders, offering them heavy weapons, just as they did in Libya last year. In fact, the US-British and UN-listed terrorists assisted into power in Libya, are now leading death squads currently ravaging Syria – disingenuously portrayed as “indigenous” “freedom fighters” by the Western press. 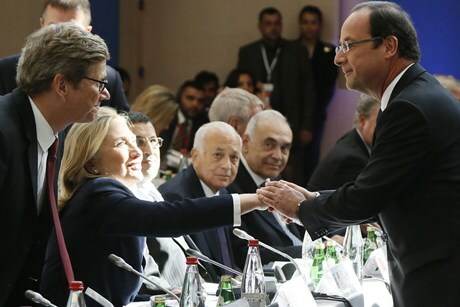 Image: Hollande (right) after paying lip service to French voters, set out almost immediately betraying campaign promises to end foreign military adventurism and is in fact picking up right where ousted Nicholas Sarkozy left off, leading the West’s destabilization and destruction of Syria through funding the very Libyan terrorists his predecessor assisted into power in Tripoli. 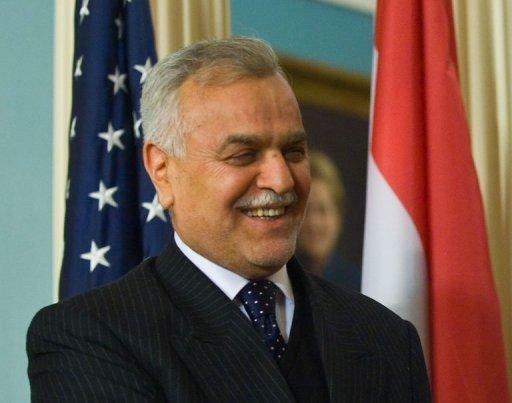 Meanwhile, in Iraq, violence tore across the nation as former-vice president Tariq al-Hashemi was sentenced to death for his role in using death squads against his political rivals. While the Western press attempts to frame the power struggle within Iraq as one of an isolated sectarian nature, in reality, al-Hashemi, who is being coddled by Saudi Arabia, Qatar, and Turkey, represents extremist elements backed by Saudi Arabia, the United States, and Israel, while Iraq’s current government is attempting to cultivate closer ties with Iran. The terror wave crossing Iraq is being carried out by fighters who are currently operating on both sides of the Syrian-Iraqi border, indicating that Iraq, as well as Syria and Iran are being targeted by US-Saudi-Israeli backed militants. The violence is connected, and part of a greater strategy to reorder the Middle East against Iran, and ultimately against Russia, China, and all other potential threats to Wall Street and London’s global hegemony.